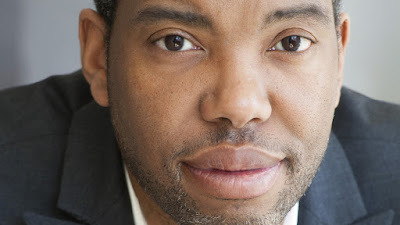 Ta-Nehisi Coates (pictured) has written a new book. This new book is titled, We Were Eight Years In Power: An American Tragedy. The tragedy Coates speaks of is the Obama presidency, which lasted from 2009 to 2017. I have not yet read Coates' book, but I have, thanks to The Boston Review, now read about it, in an essay that I found compelling. The essay to which I am referring is by Melvin Rogers, and is titled, "Keeping the Faith." 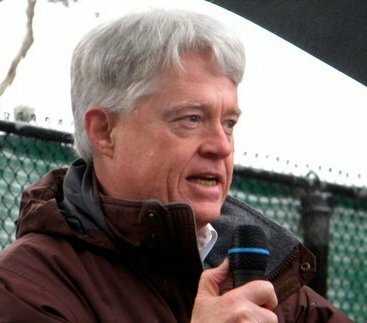 Rogers is an Associate Professor of Political Science at Brown University. His essay, which I think is well worth reading, is critical of Coates. Rogers' criticism of Coates is that Coates has succumbed to a kind of "political fatalism." The running theme in Coates’s book is that white supremacy is native and essential ... Coates argues ... that U.S. history is merely the record of its fundamental nature, [and] for Coates, the desire to transform the United States reflects a naïve religious longing. When Coates tells us that “cosmic justice, collective hope, and national redemption” are meaningless to him, he is asking black Americans to resist the temptation to allow those things (which all seem to be interchangeable throughout the book) to have meaning for them. Rogers argues that black Americans should keep believing that change is possible - and that they should keep working for it. As a black American himself, he is in a much better position to make that argument than any white American could ever be. According to Rogers, "political faith has always rested on the idea that we are not finished, a thought that Coates rejects out of hand." To me, it is clear that we are definitely not "finished," and that we will never be "finished," since the gift of human freedom means always that we can transform what we do...and who we are. This truth is the truth that Rogers relies upon in making his criticism of Coates. It would be unconscionable for a white American to try to do something similar, and to tell black Americans that they should "keep believing." It is a different matter when such advice comes from Rogers, directed to other black Americans, who labor and suffer daily under the seemingly all-pervasive presence of a white supremacy that has existed so long, and that has penetrated into our society so thoroughly, that it does seem both "native and essential." It is not appropriate for white Americans to tell black Americans to "keep the faith." It is appropriate, however, or so I believe, for white Americans to demand of themselves that they both acknowledge and overcome the pervasive white supremacy about which Coates writes so forcefully. That is what white Americans must do with their gift of freedom, that gift that has been given to us all.